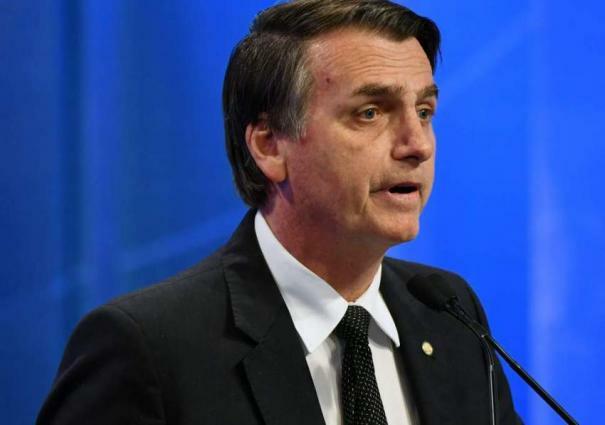 MOSCOW (UrduPoint News / Sputnik - 16th April, 2019) Brazil officially left the Union of South American Nations (UNASUR) on Tuesday to join the newly-created Forum for the Progress and Development of South America (Prosur), the country's president, Jair Bolsonaro, said on Tuesday. In March, Argentina, Brazil, Chile, Colombia, Ecuador, Guyana, Paraguay and Peru announced the creation of a new regional bloc � Prosur � as a counterbalance to UNASUR. Respect for human rights, principles of democracy, protection of fundamental freedoms and territorial integrity of a state have been named among the main membership requirements. "Foreign Minister Ernesto Araujo has formalized [Brazil's] exit from the Union of South American Nations (UNASUR), so that the country could join the Forum for the Progress and Development of South America (Prosur)," Bolsonaro wrote on Twitter. Bolsonaro recalled that Bolivia, Guyana, Suriname, Uruguay and Venezuela were still members of UNASUR, the organization that he described as a project of late Venezuelan President Hugo Chavez. UNASUR is a regional organization that became a legal entity back in 2011. It aims to enhance trust between the regional countries and creating an integration space for South American people. In April 2018, Argentina, Brazil, Chile, Colombia, Paraguay and Peru suspended their membership of the organization.